Athletes hire coaches to help them progress beyond their current and sometimes stagnant abilities. People hire fitness coaches to assist them with getting into shape and staying fit. We hire coaches because, if left to our own devices, we may be too satisfied with our performance or not believe we can do any better. But the right coach can help find and squeeze out that last bit of effort that can propel their clients to the next level. Today, professionals are hiring Career Coaches to help them plan for and achieve their professional goals and dreams. A Career Coach can play a pivotal role in thinking differently than you do, challenging your thoughts, and providing insight or ideas which you hadn’t thought of before. A coach’s unique perspective can be a catalyst for change that turns out to be just what you need. Do you have a DREAM for your professional future? Follow your dreams…envision it, prepare for it, be daring, and make opportunities come alive. Live your dreams by believing in yourself and your gifts. Trust in your instincts and gut intuition. Create a solid and achievable plan. Do you have a plan? Does it include training, talent, confidence, passion, and not letting anyone or anything derail you from obtaining your dreams? Perhaps this is the perfect time to consider scheduling an appointment with Terry, MCK Resume Service’s Professional Career Coach, to help you prepare for advancement and achieve your professional goals. With a Career Coach, you can learn how to balance your professional life. Terry works confidentially with each client. He is professional, non-judgmental, a great listener, and a creative thinker. He will help you think “outside the box” so you can know yourself better, reduce daily stress, slow down, focus, and live a happier life with the success you want and dream about. He will enable you to create change and see what stops you from being your very best. It’s an action-oriented partnership where together you work on important issues of your professional life: being more successful, building confidence, supporting and raising your level of performance, overcoming fear, doubt and limitations you put on yourself. Your Career Coach can help you get to where you want to be as a professional. Candidates who want to change careers and are willing to do what it takes to get there may learn new skills, go back to school, do whatever it takes to be able to say, “Just get me the interview because when they meet me they’ll give me the job. I know I can do it.” That’s the confidence you can develop through Career Coaching. 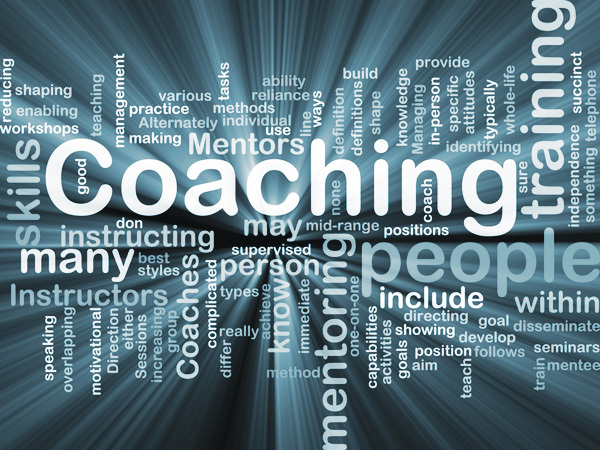 The value of Coaching is in the process—taking you from where you are, to where you want to be. Goals are discovered and a plan is tailored to your specific needs to reach those goals. It’s not therapy or counseling. Coaches don’t give advice or fix things. They explore what you want for your career and then strive to help you achieve it. It’s deep, challenging, fun work and you’ll be surprised at the quick and lasting results you get if you do the work and trust yourself. Coaching works! It’s an amazing, logical, and magical experience. Would you like to take the grand tour of yourself and find the job or career or calling that you were made for? Don’t just endure life, define it and love it. Terry Kaufmann is a Career Advancement Coach…helping others build their plan to achieve professional dreams. To schedule a coaching session, email: MCKResumeService@gmail.com or call 727.278.4367.